1. Open your form in the Form Builder and then click on the wizard icon near your Stripe integration question. 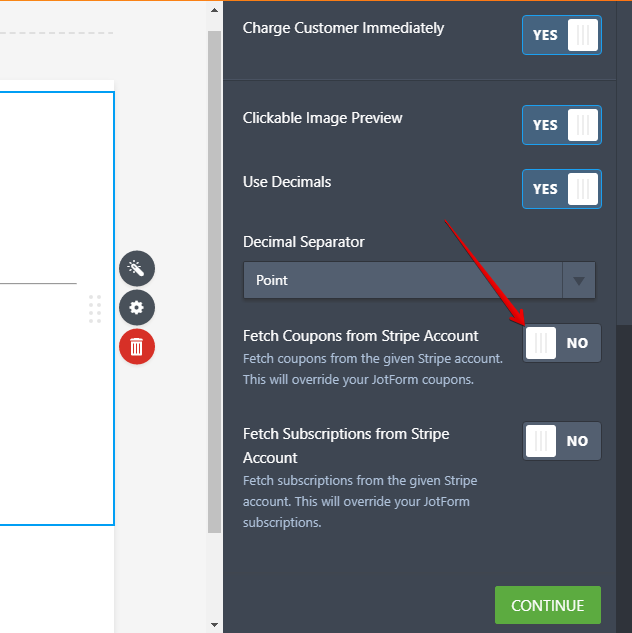 Once you complete this, your Stripe Form should start accepting the coupon codes you entered in your Stripe account. Please give this a try and if you have any questions please let us know. I was able to pull the codes from stripe for my subscription but when trying to add the code on the form page it's not accepting it. Any idea why? 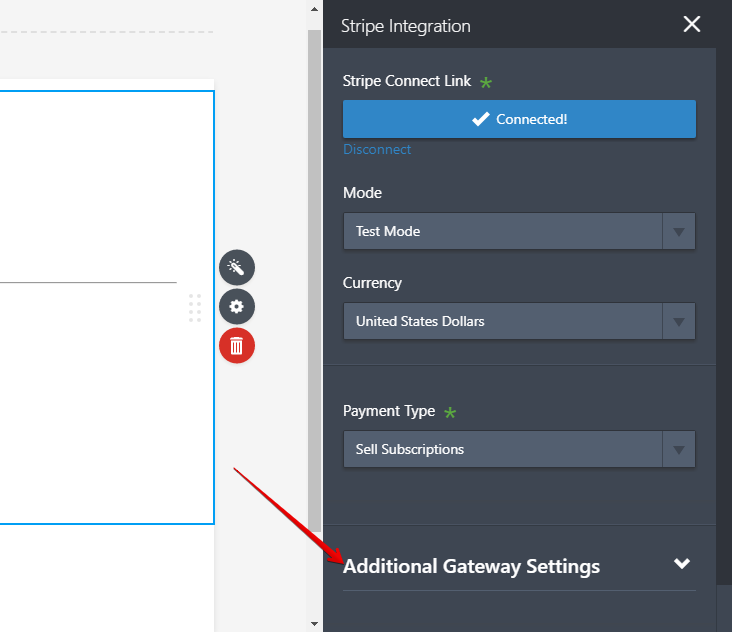 Can you use this option if you use stripe as a user defined payments? Is there a way to hide coupon field while still fetching subscriptions list from Stripe? I want to add a coupon to the Stripe form. Can you please let me know how can this be achieved? 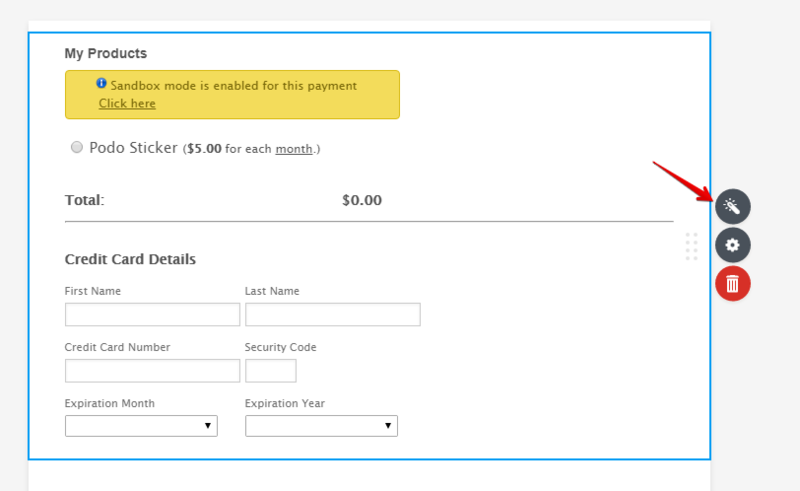 I'm using Stripe and would like to incorporate a coupon or promo code, how do I inject the code on Jotform?